making the text more accessible. 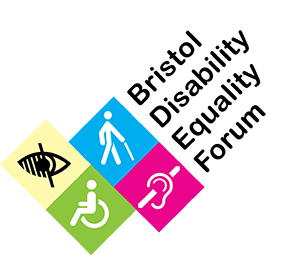 Therefore, the comments, views, opinions, politics or ideologies expressed on this website do not necessarily represent those of the Bristol Disability Equality Forum, its Trustees or Membership. If you have a complaint about this website, or you see posts advertising products from other people, please write to us. If the complaint is about a specific article or advert, please email us the address of the page on which you found it.